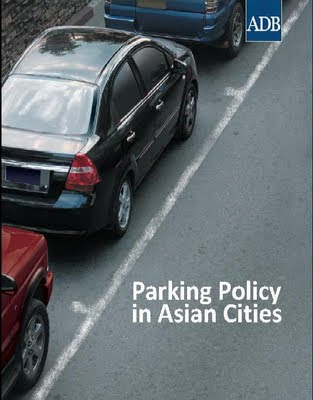 The final book form of my study of "Parking Policy in Asian Cities" is now available for purchase or free download via the website of the Asian Development Bank (ADB). Even if you have already seen the earlier 'consultants report' version, you will find this final version valuable for its professional editing and layout and as the definitive version to use as a reference. I hope this will help participants in parking policy debates around the region think more clearly about key parking policy choices. Most Asian cities are facing an acute parking crisis as a result of rapid urbanization and motorization, and high urban densities. Parking policy is an important component of a holistic approach to sustainable urban transport across the region. 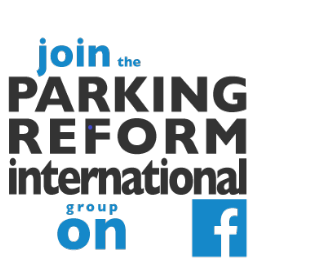 The report provides an international comparative perspective on parking policy in Asian cities, while highlighting the nature of the policy choices available. It is a step in building a knowledge base to address the knowledge gap on parking and the lack of adequate guidance for parking policy in Asia. Many thanks again to everyone who helped along the way!